Welcome to The Petz Breeder's Alliance! Frenchies for adoption in the 'Petz Banter', and then 'For Others' board! PBA has gone WILD! Check out the PBA wild/fantasy pose guide! Come here to read about rules, guidelines, what the PBA is about, and how to register your kennel/cattery. 7 27 Step 1: Get Your Kennel/Cattery PBA Registered! Come here to make your own kennel/cattery page to keep track of both PBA and non-PBA show/event/competition wins and let the community know what your facility is all about! Up for a game of petz roulette? Post pictures of your petz, talk about petz, ask questions about petz...if it has to do with petz, you can do it here! Adoptions and raffles and the like can be posted here! 24 88 Random Petz Moments! Host all traditional pose shows and canine competitions here! Competitions can include, but not limited to agility, herding, obedience, flyball, cute competitions, best trick, etc. Host all traditional pose shows and feline competitions here! Competitions can include, but not limited to agility, hunting, cutest cat, best trick, etc. 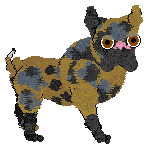 Host shows and competitions for all your wild and fantasy petz hexed off of dog files here! Host shows and competitions for all your wild and fantasy petz hexed off of cat files here! Enter your petz here in conformation shows! Enter your dogz in sporting events here! Enter your catz in sporting events here! Come here to host polls, talk about whatever you'd like that is not related to petz, and talk about real life animals, and really...whatever you want. 10 38 Random Picture Thread! I never knew a time when I didn't like to talk about myself...oops, did I say that out loud? Lolz. Just joking, but feel free to make yourself a blog here and double post all you want in it and post pictures, do fun quiz things, talk about your day, your life, your next door neighbor...whatever you'd like! Make it about you! You can post your coming and goings here as well if you are not going to be around for a while. 'Cause every forum needs a forum game board!